Turn your selfie into a one-off, limited edition manga illustration. 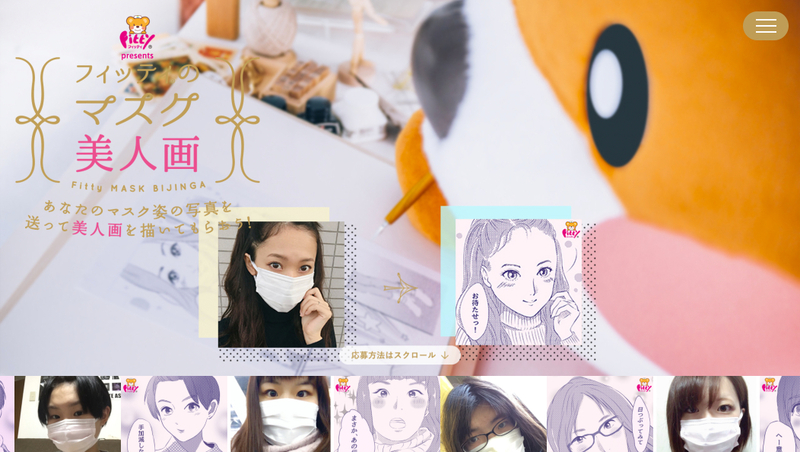 A digital campaign for “Fitty” - Tamagawa Eizai’s mask brand - turning selfies into manga illustrations. 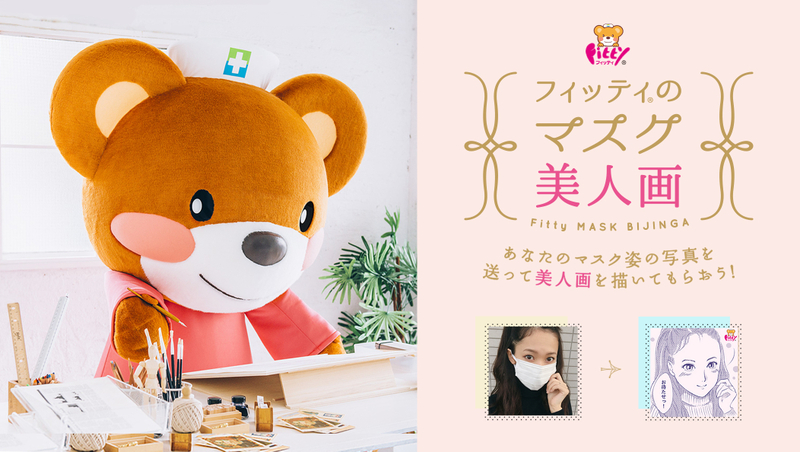 Send in a selfie wearing a surgical allergy mask and receive a unique manga portrait drawn for you by the cute “Tamakuma Sensei” (Dr. Tamakuma). 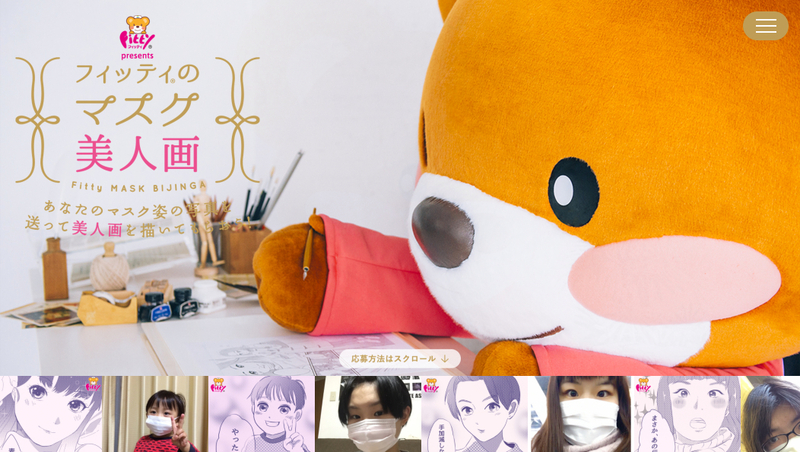 The illustrations are made by imagining the actual face hidden beneath the mask and adding facial expressions, poses and lines of speech suggested by the mood. They are all drawn one by one, by hand. 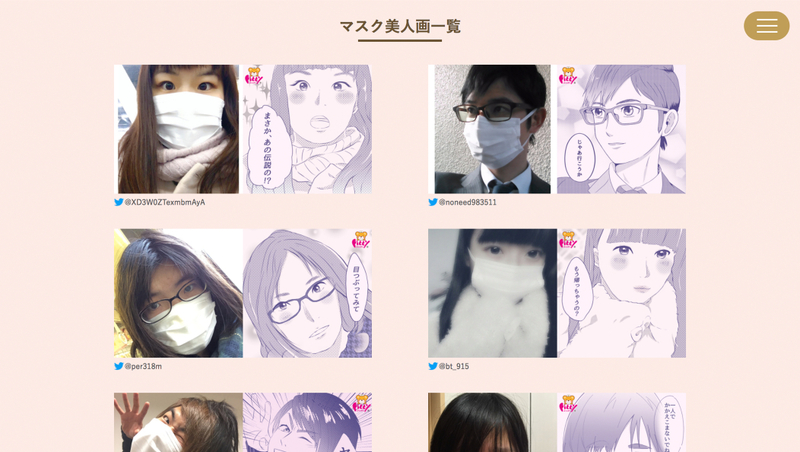 Entering is a simple process of just linking the campaign website to your Twitter account and uploading a selfie of you wearing an allergy mask. Completed illustrations are delivered to users by Tweets directly from Fitty's official account, operated by "Tamakuma Sensei." 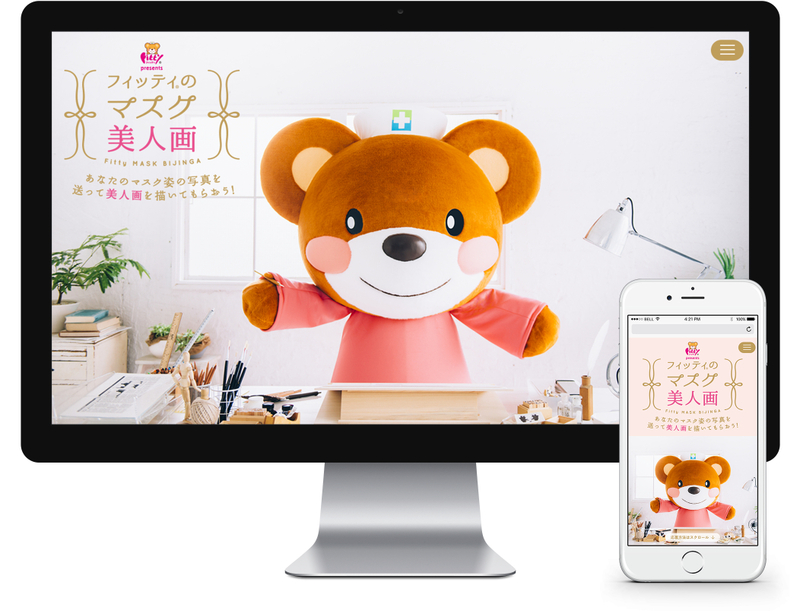 We created a simple responsive site, ensuring reliable operation. The File API was used to handle the contributed selfies. Image processing was through front end implementation, and was carried out with Canvas. Building on our experience with past projects allowed us to complete development efficiently and realize effective cross browser correspondence.